A Downtown Brooklyn landmark building, the Offerman House was constructed at 248 Duffield Street near Fulton Street between 1890 and 1893. 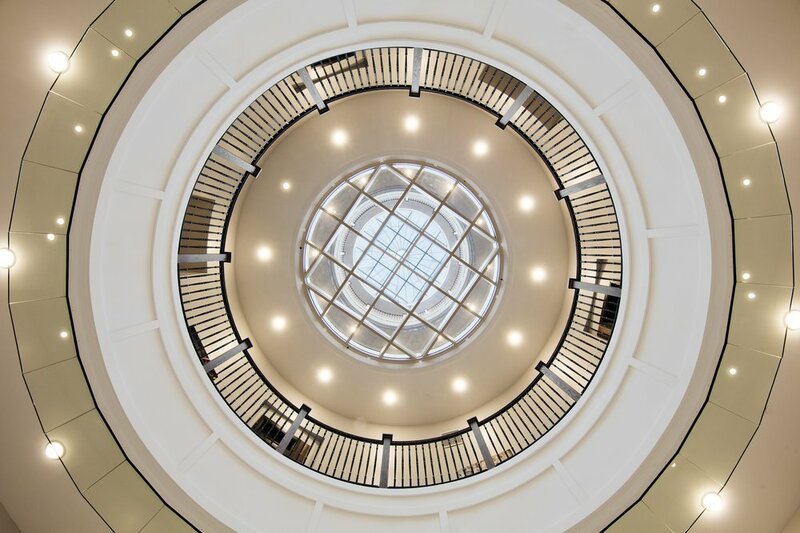 Commissioned originally by millionaire Henry Offerman, today the building has been given new life with the construction of 121 apartments and 86,500 square-feet of retail space designed to maintain the charm of the historic building. 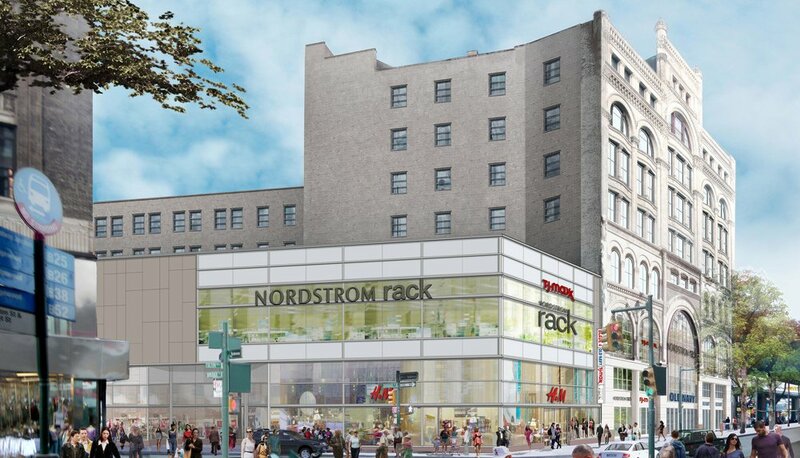 The combined building is comprised of the landmarked Offerman Building and the new building addition which is a steel-frame structure clad with a pre-cast concrete rain-screen panels and glass storefront facade. The original building was constructed to house S. Wechsler and Brother, a department store that specialized in dry goods. At the time of its construction, at eight floors high, the Offerman Building was one of the tallest buildings in Brooklyn. When they closed around 20 years later, the building houses different department stores, the most famous and successful store being Martin's Department Store, known best for their Bridal wear. One of the major project goals for this building was to bring the building back to its original glory. 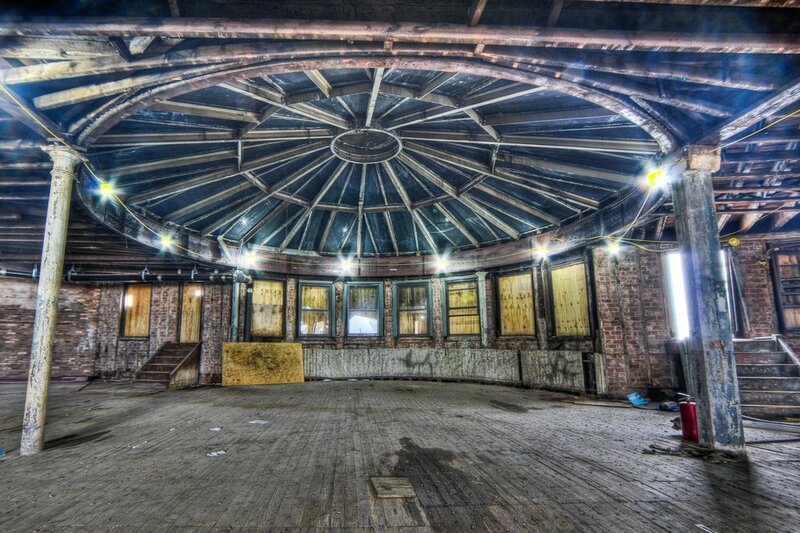 A major design aspect of the building is the interior rotunda and skylight which is about 30 feet in diameter. 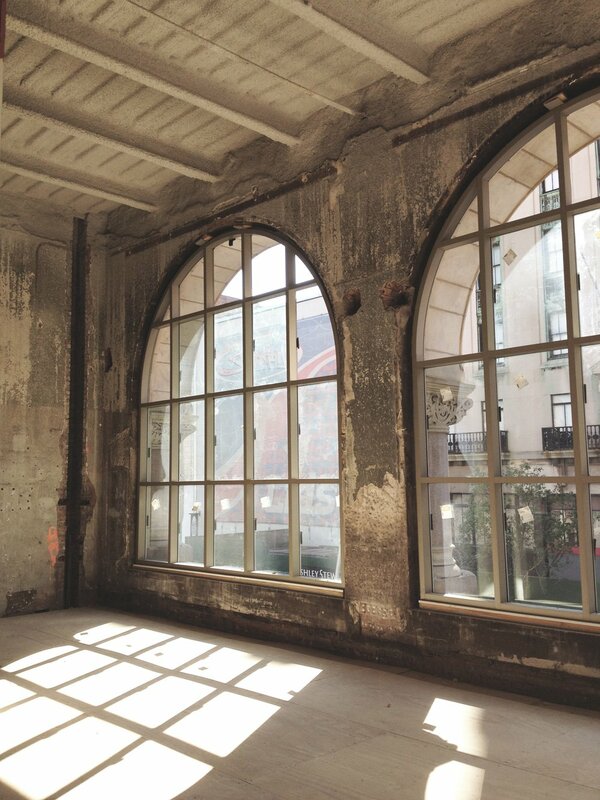 This skylight was originally hiding behind various building materials, but has now become a focal point for the building. 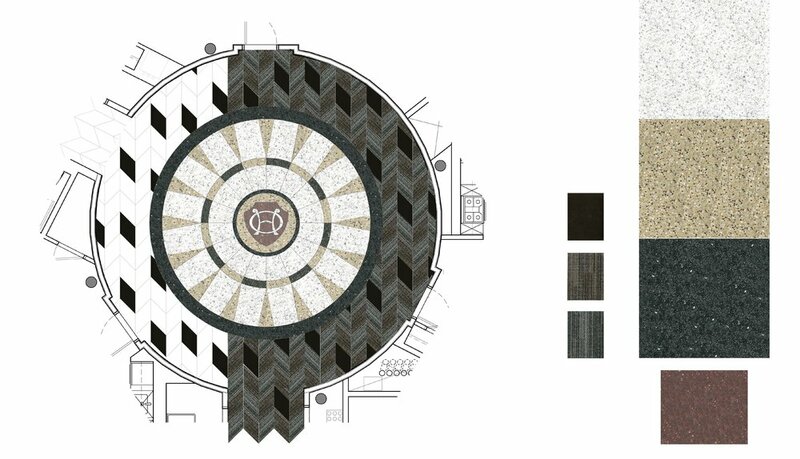 The sunlight comes in through the skylight and goes all the way through the building; the light also shines onto the rotunda floor which features the Offerman Building logo. Cast-iron columns were also restored, and wood rafters were reclaimed for flooring in the common areas. The shape of the building proved to be an initial design problem. 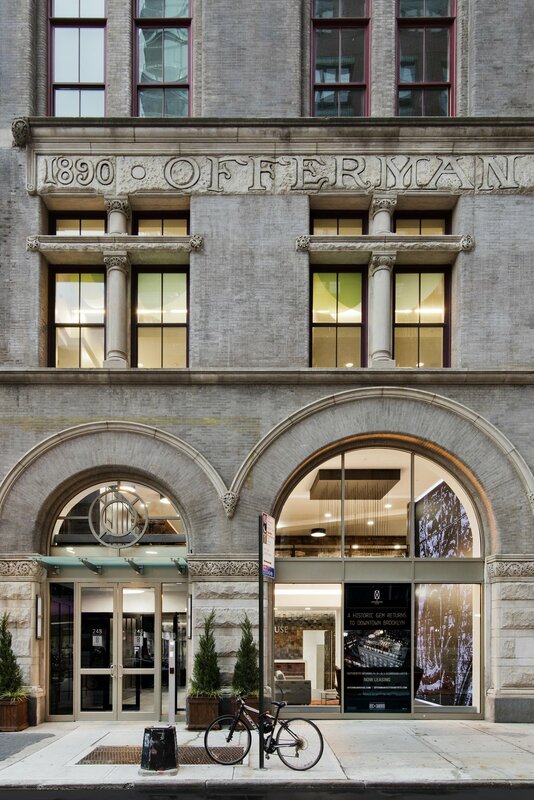 When the Offerman House was designed in 1890, it was designed to be a vertical department store; this became an issue for our team when the time came to design the residential units. 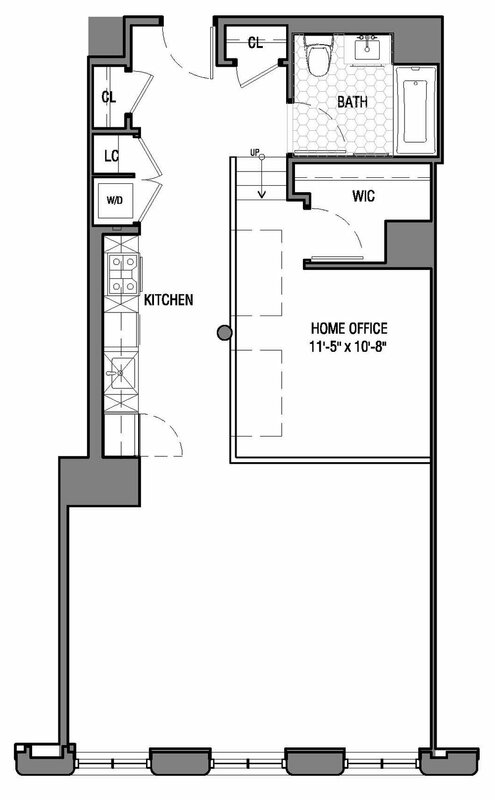 The deep space made it difficult to come up with a floor plan that would meet the Light, Ventilation and Occupancy requirements of New York City. To solve this problem, each unit features one large historical window, that provide plenty of natural light, and GreenbergFarrow designed the units “loft like” with platform outcove that can be used as a home office for tenants. Fulton street has been a shopping corridor for more than 150 years and today has more than 100,000 shoppers daily. Many of the buildings along the street date from the late 19th and 20th century. New modern high-rise developments are currently being built adjacent to this project site. The revitalization of this building is indicative of how exciting the area has become and provides a vital example of how adaptive reuse can enhance the quality of life in a high-density area. 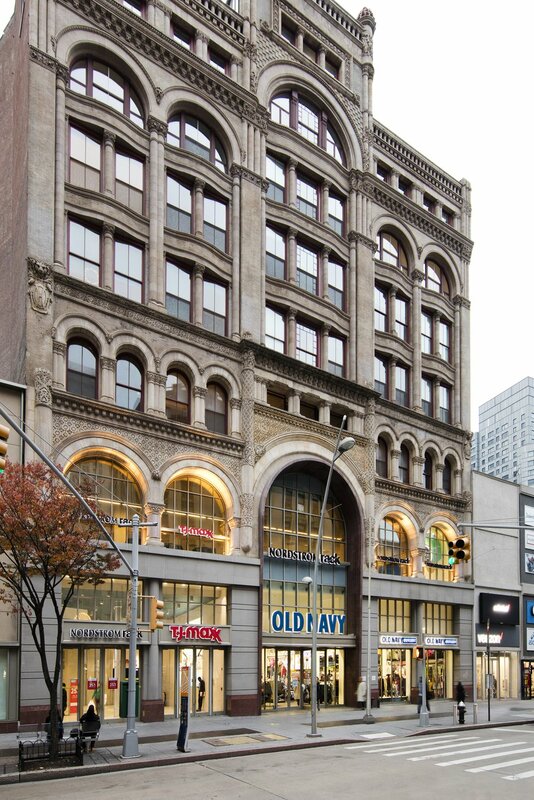 The Offerman Building’s historical authenticity adds to the preservation of Downtown Brooklyn’s history.